Children with learning disabilities (LD) experience difficulties when processing certain types of information. It takes them longer than others to learn new things, especially abstract information. Since reading, writing and math are all abstract tasks, children with LD struggle to develop one or more of these essential academic (and life) skills (Fig. 1). LDs are not usually diagnosed before a child is 9 or 10 years of age. But the signs of a possible LD can be seen in the preschool years. To learn about these signs, please visit the zero to six part of this course. LD is a neurological disorder. It appears that the brains of those who have LDs are “wired” differently than those of typically developing children. That is, children with LD process information differently than others. LDs are lifelong conditions. Children learn how to live with a learning disability and can certainly learn how to read, write and do math, but the learning disability itself does not go away. Dyscalculia: a disorder of math. 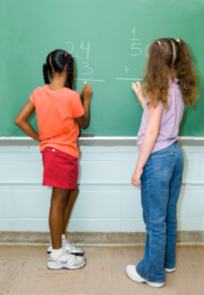 Children with dyscalculia struggle with all types of math operations, from the simplest to the most complex ones (Fig. 3). This means that they may know and write the numbers, but cannot understand how to use them when adding or subtracting. For example, if asked to add “15 + 5 = 20” they may not make any sense of this statement unless they work with objects and count them one by one. Visual processing disorder: the child has difficulty processing information that is presented to him or her visually, despite having typical vision. It is not uncommon for a child to have more than one learning disability. That is, a child can have both dyslexia and dyscalculia. Also, some children with LD also have difficulties with attention or ADHD. Academic skills: LDs clearly have a serious impact on a child’s academic skills. How academic skills are impacted by a learning disability will depend on the type of learning disability the child has. This is because following instructions in class is hard for them. Many times their work is incomplete and homework becomes a struggle at home. 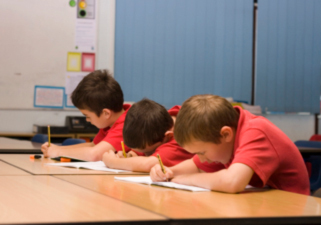 Mental health: many children with learning disabilities also have a mental health disorder. This includes depression and anxiety-based disorders. Clinical psychologist: if the child with LD also has a diagnosis of a mental illness, such as depression, then regular sessions with a clinical psychologist may be warranted. Despite the fact that many children with LD also have ADHD, and/or a mental health disorder, most grow up to become healthy and happy adults, who are active and fully-contributing members of society (Fig. 5).